Photo:(from left to right): Chelsea Prescod, WEConnect International and Elizabeth Auceda, Sodexo Canada. 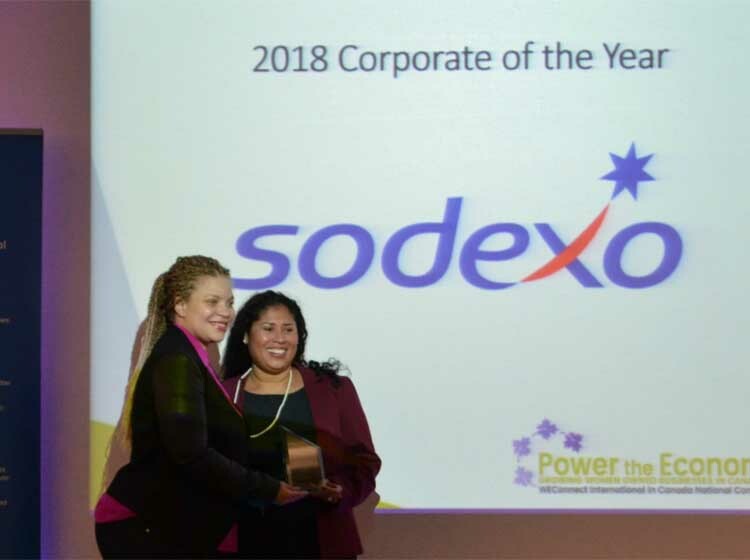 Sodexo Canada has been presented with WEConnect International’s 2018 Corporation of the Year Award in Canada for its commitment to diversity, inclusion and focus on gender equality. 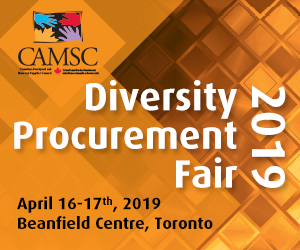 This award is presented annually to a corporation that has demonstrated exemplary support for the inclusion of women-owned businesses in their supply chains and innovative approaches to creating new opportunities for inclusion in Canada. An example of how Sodexo has worked to support women-owned businesses includes rolling out its first virtual “meet the member event”, which works to engage and expand its supply chain across Canada. Auceda was recognized in 2017 as one of Canada’s most influential women in human resources and diversity by DiversityCan Magazine.